Strengths: “Radu” is a high-octane, game-breaking forward who excels at creating scoring chances not just for himself, but for his linemates as well. He is a feisty player and is hard to contain for the opposing defensemen. Weaknesses: The consequence of being such an explosive player is that Radulov is prone to overplaying the puck, leading to turnovers. His spirited style at times leads to undisciplined plays and costly penalties. Biography: Alexander was born and raised in the northern Urals city of Nizhniy Tagil, in the Sverdlovsk region. When he was still a child, he moved with his brother Igor (also a future NHL player) to Yaroslavl to study at a sports school. Radulov began his professional hockey career at the age of seventeen with THK Tver in the Russian Hockey League’s second tier (the Major League) and was one of the leading scorers at the Under-18 World Championships, where Russia won gold. By the end of his first season, Radulov got to play in one game for Dynamo Moscow in the Superleague. 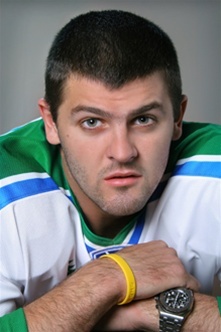 In 2004, Radulov was drafted by both the NHL (the Nashville Predators) and by Canada’s Quebec Major Junior Hockey League (the Quebec Remparts). In his two years with the Remparts, Alexander made a strong impression. Following his first year in North America, he was selected to the QMJHL’s All-Rookie Team. In 2006, Radulov was a First-Team All-Star, the MVP, and the leading scorer among all Canadian major junior leagues. He broke various club records, including most goals in a game twice (seven) and established a 50-game point streak that was second only to Mario Lemieux’s in the league’s history! Radulov’s experience in Quebec was capped off with his team becoming the Canadian Hockey League champions (and Radulov being awarded the Stafford Smythe Memorial Trophy as the MVP of the Memorial Cup playoffs). 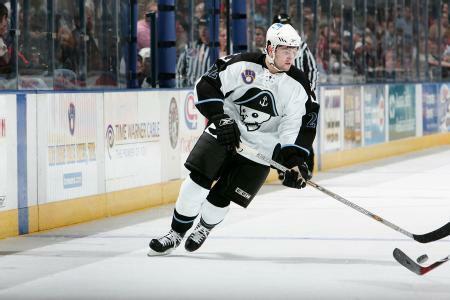 Alexander began the next season with the Milwaukee Admirals of the American Hockey League, but less than two months later gained a permanent roster spot with the Nashville Predators. Radulov brought over his flair and eccentric goal celebrations over to the NHL, where he became the most popular player in Nashville. He played in the NHL YoungStars Game in 2007 and finished his rookie season with an impressive plus-minus rating. After his breakthrough second year, in which he scored 26 goals, Radulov signed a three-year contract with Salavat Yulaev Ufa in Russia’s KHL. This was seen as a breach of his NHL contract that had one remaining year, and Alexander was suspended by the Predators for the entire 2008-09 season once he played a game for Ufa. On Salavat Yulaev, Alexander quickly found chemistry with almost any players assigned to his line, including Sergei Zinoviev, Igor Grigorenko, and Patrick Thoresen. In each subsequent season in the KHL, Radulov increased his production. In 2010, he managed to score the quickest goal in Russian hockey history – just seven seconds into a game. At the end of the 2009-10 season, Radulov was awarded the “Golden Stick” award as the KHL’s most valuable player. After two years of playoff disappointment, Radulov’s team made it to the KHL playoff final and won the Gagarin Cup in 2011. Alexander was one of coach Vyacheslav Bykov’s most trusted players, as they’ve won together not just the Gagarin Cup, but also one bronze and two gold medals with the national team at the World Championships. 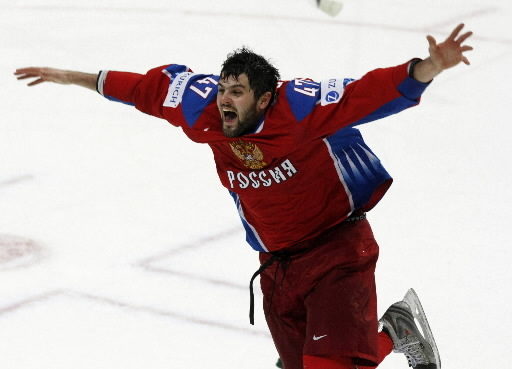 Radulov scored the game-winning goal of the 2009 World Championship gold medal final. 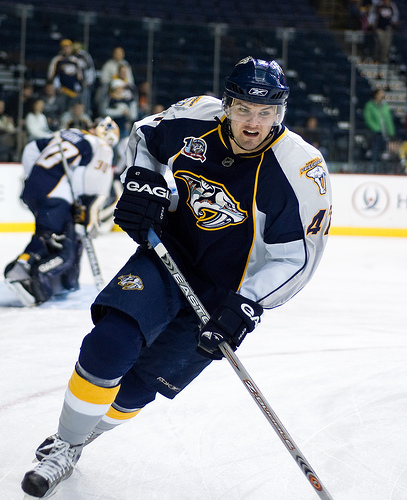 After Salavat Yulaev was eliminated in the first round of the 2012 KHL playoffs, Radulov went back to the Predators to fulfill the remainder of this NHL contract. 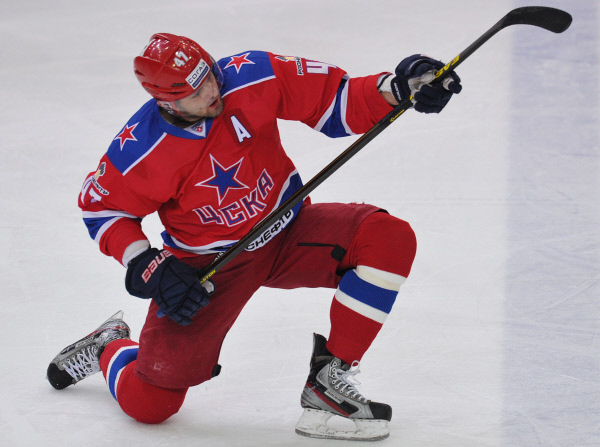 Afterwards, Radulov signed a four-year contract with CSKA Moscow. Woah this specific blog page is astounding i love examining your content. Stay on the fantastic get the job done! You know, plenty of people tend to be hunting around just for this data, you might support these people significantly.